The brothers Weisz, Sascha and Andreas, teamed up again to deliver an irresistable, tropical track which will make you daydream of jungles and beaches in no time flat. 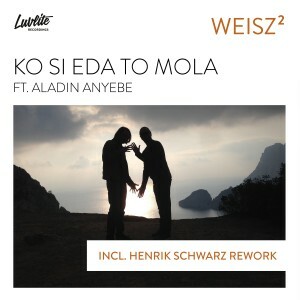 “Ko Si Eda To Mola” is an electronic-infused chunk of world music, highlighted by funky flutes and the vocal stylings of Aladin Anyebe. The incomparable Henrik Schwarz delivers a smooth, sensual remix for the B side of this single, perfect for sunrise DJ sets or pool parties. This release is as refreshing as a mojito on a hot day. Speaking of… Be riiight back. Fans of swirling, dynamic techno, you’ve come to the right place. Alphahouse, Butane’s imprint, is known for putting out music which is consistently well-crafted and boundary-pushing. This 4-tracker from newcomers MFS Observatory does not disappoint. Ease into the release with “Observatory – Y1,” featuring hypnotic synth sounds and bubbly atmospheric noises. Things get darker with “Observatory – Y2,” a rich slice of techno perfect for opening sets. The flip side kicks off with Butane & Alexi Delano’s take on “Y2,” a minimal banger which shows off each producer’s unique flair. Closing things out is “Observatory – Y3,” a bumpy cut which is equal parts psychedelic and driving. Any DJ of techno or tech house persuasion will definitely latch onto one or more of these tracks. Back with another resounding, impactful release is Kittball. This pair of tracks is destined to rock dance floors across the globe. Germany’s Paji, a producer with an impressive classical background, lights things up with “Opus7.” Rumbling bass lines, stuttering chords, and whirling synth parts add up to make a track that’s as unique as it is memorable. “Mandala” is its counterpart, and it’s no wonder this track continues to climb up the Beatport charts. Climactic moments are proceeded by big chords, sweeps, and fluid effects. 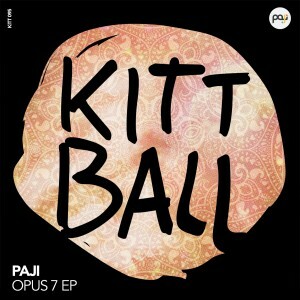 Emotional, gripping house music is hard to come by these days, but Paji nailed it, twice, right here. 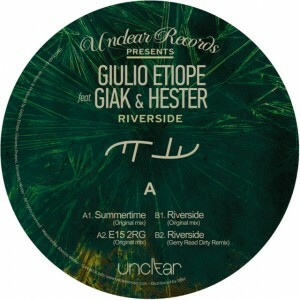 Add some sizzle to your summer with Riverside EP, the 11th release from Unclear Records featuring the sounds of Italian producers Giulio Etiope, Giak and Hester. Full of romantic melodies and slinky percussion, the Riverside EP will make for perfect summertime vibes. Speaking of which, the release opens with the infectious track, “Summertime,” putting a dance music spin on the George Gershwin jazz standard with an injection of tropical inspired percussion and quixotic atmospherics that transplant the listener to a remote island off the coast of Balearic Sea. Next up is “E15 2RG,” which explores the darker side of dance music with aqueous percussion that ricochets around basslines as seismic as tectonic shifts. The subterranean drum patterns blend effortlessly with opposing elements of jazz-laden synth lines and seductive vocal clips. Title track “Riverside” opens the B-side with classic piano riffs and elegant synths that embed their aural memory in the listener’s mind. Gerry Read’s Dirty Remix of “Riverside” closes out the release with a harder version of the original that kicks the tempo up a notch. Read transforms the song into his own with staccato drum patterns that move through the song with force. The intelligent song writing and relaxing vibes on Riverside make it a must-have summer release. We are excited to see what these sparkling Italian producers do next. Grab your vinyl copy today, as there are only 300 in circulation!